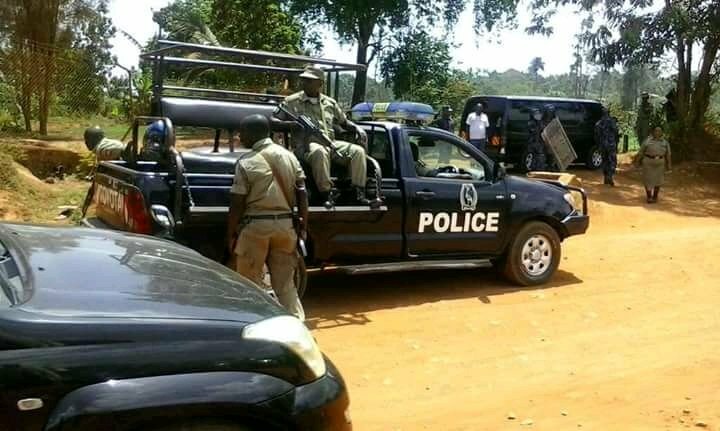 KASESE – Police in Kasese on Thursday, April 4, arrested over 40 Rwandan nationals in Queen Elizabeth national park at the border point of Kasese and Rubirizi districts. According to Nile Post, the victims are being detained at Kasese Central Police Station. Police said they were trying to cross to the Democratic Republic of Congo. Majority of those arrested were men although some women and children under the age of five were part of the group. The Rwandans are said to have been travelling in three mini-buses registration numbers UBD 338V, UBA 841D, and UBE 325P. Some did not have clear travel documents, raising suspicion. The regional police commander Rwenzori East Mr. Mwesigye Vincent refused to disclose the identities of detained. Mr. Mwesigye said their arrest was now a bigger issue that could be handled at senior level. “There is no comment I can give you at the moment,” Mwesigye said. Journalists could hardly be allowed to enter the police station to interview some of the suspects. The security situation in the national park remains tense because early this week, an American tourist and her guide were abducted from the same park by four gunmen who demanded Shs 1.8 billion as ransom. Police and other security agencies have mounted a search for the hostages which is still on-going.